These are made with our very own caramel. Grizzlies are made with a generous amount of caramel. This is enrobed with your choice of chocolate. 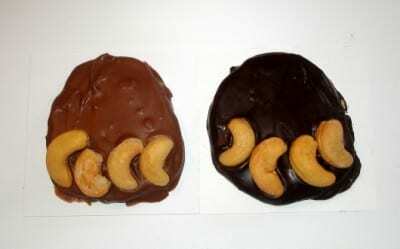 Cashews are added on top to look like a paw. Choice of regular caramel or huckleberry caramel.